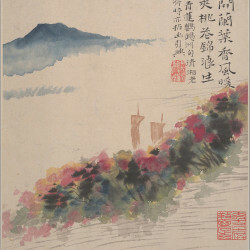 Shitao (石濤, ca. 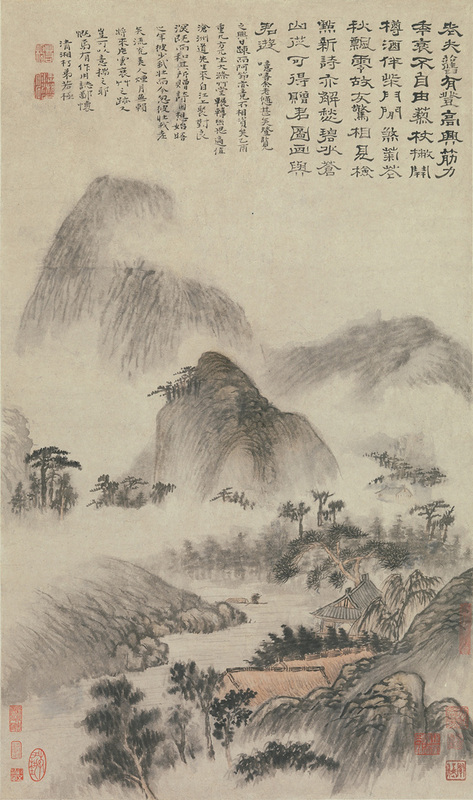 1642–1707), born Zhu Ruoji (朱若極) was a Chinese artist of the late Ming and early Qing dynasties. Born in Quanzhou County (全州縣) in Guangxi province, Shitao was a member of the Ming royal house. He narrowly avoided catastrophe in 1644 when the Ming dynasty fell to the invading Manchurians. 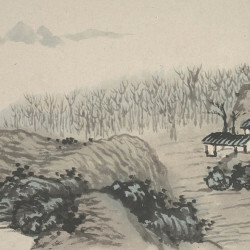 Having escaped by chance from the fate to which his lineage would have assigned him, Shitao became a Buddhist monk at an early age. 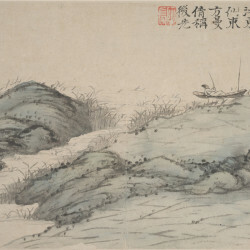 Shitao was one of the most famous individualist painters of the early Qing dynasty, often mentioned along with Zhu Da (朱耷). The art he created was revolutionary in its transgressions of the rigidly codified techniques and styles that dictated what was considered beautiful. 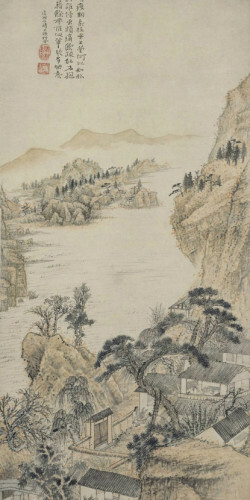 In distinct contrast to his contemporaries known as the orthodox masters (e.g., The Four Wangs), he was far less tied to the imitation or inspiration of old masters; and, while he respected them, he saw ancient styles more as knowledge to be expanded upon than as material to be exploited. His formal innovations in depiction include drawing attention to the act of painting itself through the use of washes and bold, impressionistic brushstrokes, as well as an interest in subjective perspective and the use of white space to suggest distance. 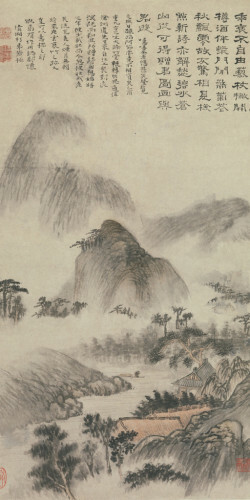 The poetry and calligraphy that accompany his landscapes are just as beautiful, irreverent, and vivid as the paintings they compliment. 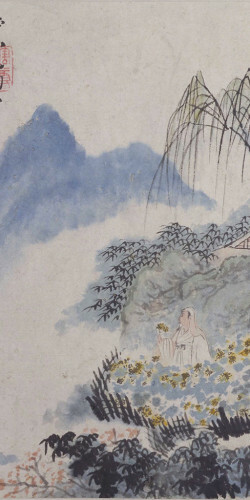 His paintings have been interpreted as an invective against art-historical canonization.